As they watched the movie Wonder, starring Jacob Tremblay as a boy with a facial difference, former craniofacial patients saw their own experiences as children. Eight of them had shared their stories with the actor prior to filming. When Vanessa Wiens was just 12 years old, she was out walking her dog and someone yelled, "Hey you, ugly ... you should go kill yourself." She did contemplate suicide, being the target of cruel comments in her neighbourhood at least four times a week when she was growing up. Wiens, now 19 and living in Mississauga, Ont., says those words are still seared in her memory years later. At school, life was "just terrible." "We had recess and I just would hide in the bathroom most of the time," she says. Wiens had a very small jaw and protruding teeth due to rheumatoid arthritis. She has had multiple surgeries. Her best friend, Katie Atkinson, also 19, has similar painful memories. "All the staring ... I would sit alone in science class just because I looked different. And just feeling that, like, isolation," she said. "You have people around you but they just don't want to get to know you." 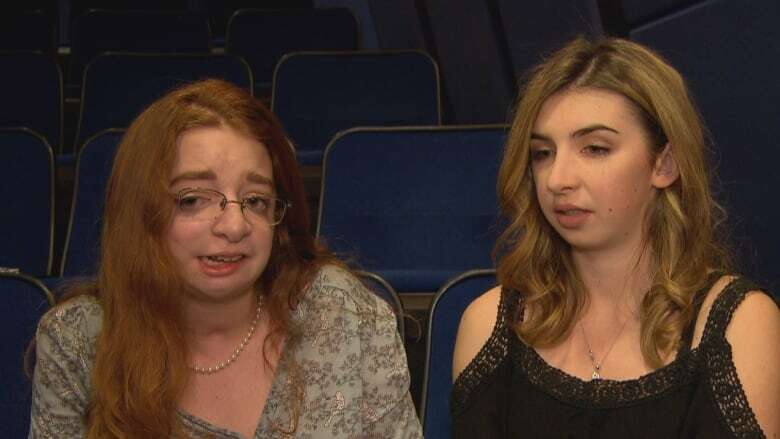 On Monday, for the first time, Wiens and Atkinson, along with other former patients of the craniofacial program at Sick Kids hospital in Toronto, saw their experiences reflected in the movie Wonder. Jacob Tremblay, 11, stars as Auggie Pullman, a boy born with Treacher Collins syndrome, which affects the facial skeleton, ears and eyes. The film is based on a book written by R.J. Palacio, a mother who was disturbed by how her three-year-old son reacted to seeing another child with a facial difference, and wanted to spread an overarching message of kindness toward others. While researching the role, Tremblay — with the encouragement of his mother, Christina — reached out to patients with facial differences who had been treated in the Sick Kids program. Wiens, Atkinson and six others sent Tremblay photos and letters describing their personal experiences. "Before I heard about the role I didn't know that facial differences existed," Tremblay told CBC News. He wanted to learn as much as he could, and carried a binder of the letters on set with him, rereading them before filming certain scenes — including the one in which Auggie walks into his middle school homeroom for the first time. "It's about the experience of being stared at," Tremblay said. After filming, Tremblay came to Toronto last October to meet the eight people who had shared their stories with him. And on Monday, he returned — this time with two of his castmates — to join them for a screening of the movie at Sick Kids hospital. Atkinson — who, like Auggie, has Treacher Collins syndrome — said it was a powerful experience. "I never saw anyone on TV or out in public ... or even heard any stories about anyone like me," she said. "And I'm just sitting here and watching a beautiful movie about a boy who's just like me." Dr. Christopher Forrest, the head of plastic and reconstructive surgery at Sick Kids who works in the craniofacial program, says about one in 125,000 children in Canada is born with Treacher Collins syndrome. But cases vary widely, from mild to severe. The syndrome can cause life-threatening problems, such as difficulty breathing and eating, that need to be addressed in infancy. The children often face many reconstructive surgeries. "There's no shortage of operations, I'm afraid, that have to be applied to Treacher Collins syndrome," Forrest says. Some examples include ear reconstruction around age 10, cheekbone reconstruction around age 12 or 13 and jaw reconstruction after children finish growing, around age 18. Some severe problems, such as if a child's eyelids are missing and their eyes can't close, need be corrected when they are babies or very young children. Jade Laird-Umanetz, 20, said he was "awestruck." "It didn't feel like I was watching a movie. It felt like I was actually watching real life," he said. "That could be me." Laird-Umanetz, Atkinson and Wiens met through the Sick Kids program, which offers patients not only medical treatment but also social support. They're all in university now, and hopeful that Wonder will help raise awareness about what they call the facial difference community, which is relatively small and doesn't get much public attention. But not everyone with facial differences is embracing Wonder, or seeing it as the right way to raise awareness. Much of the criticism centres on not casting someone who actually has a facial difference to play Auggie, and instead using a mask and makeup on Tremblay. "When I thought about someone wearing a mask of my face and getting paid and celebrated for it, I almost burst into tears on Skype with my girlfriend.... It's my face. I can't take it off," tweeted Mike Moody, who has a facial difference called Crouzon's syndrome, and who has spoken out about the film. Writer Ariel Henley, who also lives with Crouzon syndrome, also criticized the film prior to its release. In an email to CBC News on Tuesday, Henley said she was "pleasantly surprised" after she saw Wonder over the weekend — but mostly because of its emphasis on "relationships and perspective" rather than focusing solely on Auggie's facial difference. "Auggie's disfigurement was simply the vehicle the storytellers used to explore human nature, and the fact that everyone is different and fighting a battle others know nothing about," Henley wrote. "[But] it's still the film's refusal to both involve and cast individuals with actual facial differences in this movie that ultimately undermines its entire message." The patients from Sick Kids say they're aware of the controversy, but say the movie stayed true to their experiences. "I can understand where [the criticism is] coming from, but at the same time, like, I think not a lot of people know that Jacob really reached out to us," Atkinson said. "Him and his mom, he wanted our stories to be portrayed through his acting. Like, he wasn't just trying to assume he knew what it's like to have a facial difference. "[The] message is getting out there. Like, that story is being told no matter what. And I think that is above all most important." An important part of the movie's message, everyone agrees, is that Auggie — like people dealing with facial differences in real life — is not defined by his medical condition. Tremblay said he liked learning not only what experiences his new friends at Sick Kids had with facial differences and the bullying came with it but also who they were as people. "There's someone who likes to play piano. And I'm not ... good at piano. I don't even know how to play it," Tremblay said. "Everyone has their own personality."